Death was a reality I was not ready to face. My husband and I would refuse to talk about death, and those few times we did we just joked about it. Then one day at work, when I was in the vault where the safety deposit boxes were located, someone accidentally closed the door and locked me in! At that moment I realized that I was not ready to die. That was when I began to ask God, “Lord, how do you want me to prepare for death? What do you want me to understand about it?” And as I pursued Him for His answer, I came to know the Lord and myself more. Facing death was the way for me to become close to God and have a deep, personal relationship with Him. Having spent 12 years in the corporate world and another 12 years of successfully running our bakeshop business immersed me and Zoilo in worldly matters. But in spite of the measure of success we achieved, I felt empty within – there was something missing. I was already an Opus Dei co-operator but in spite of the daily masses and devotions, I thirsted for more in my spiritual life. Then we joined the Life in the Spirit Seminar on 15 August 1992 and got involved in various services, such as the marriage encounter ministry and in the charismatic community. Little did I know that my formation in community was one of the ways God prepared me to face death. I considered my eldest sister and her husband as my second parents and called them Mommy and Daddy because of the 21-year age gap between us. They lived in our ancestral home in our family’s compound in Navotas. In 12 August 1993, there was a fire that burned down all the houses in the compound. When I was told the tragic news, I did not realize that at that moment, my Mommy and Daddy had already perished in the fire. As the fire raged in the compound, my husband and I went to mass that morning and even asked our then parish priest, Fr. Prex Fajardo, to intercede for our relatives in the compound who were affected by the fire. On the 23rd of November 2008, I received a phone call I would never forget. At the other end of the line was a former employee of my daughter-in-law Marnelli’s grandmother. The caller said that Marnelli, Sophie (our precious four-year-old granddaughter), Marnelli’s parents, helpers, and a cousin, perished in a fire. I could not speak and just dropped the phone. Upon hearing the news, our family didn’t get angry at God or question Him on why He allowed another fire to take our loved ones. Instead, we all went to Mass together and by God’s grace, were comforted as our parish priest, Fr. John Morota, and the entire congregation prayed with us for Marnelli and Sophie, and all those who died that day. During this time, my husband and I had become part of the Intercessors of the Lamb (IOL) and the Lord once again prepared me for the coming sorrow through a retreat I attended in Omaha, Nebraska. When I first heard about the tragedy, I cried at the cruelty of letting my little Sophie burning to death. 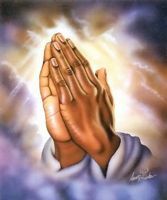 But prayers helped me re-focus on the truth that God know best and I thanked all those who prayed with us. Our entire family received the grace from God and we remained calm and trusted in Him. The last time I saw Sophie was when she joined our village Halloween Trick-or-Treat. I told her that maybe next year she could be an angel – to wear a white dress and wings as her costume. Then Sophie told me, “Immi, next time, I’ll be an angel already.” Maybe what she said was prophetic because two weeks after, our Sophie did become an angel. Apart from the passing of our two beloved girls, our family struggled through having to claim their remains from the morgue. There was an investigation to establish if the fire was caused by arson and the medico legal results took longer than usual to be released. Waiting was difficult but while we waited, our family cried together. But we cried not because we lost two amazing and loving girls but because we will no longer be able to love them and receive their love in return. When we got home, we cried out our grief. Then I had a sense from God to encourage my family to pray, so that the grief will no longer progress to anger. Together we begged for strength from the sorrowful heart of Mary – our Blessed Mother knows fully well how it is to lose a child. God granted our prayers. We became sober and our hearts were filled with His love. We also felt gratefulness to God that in the short time we had Marnelli and Sophie with us, there was fullness of life. In their brief journey with us, we felt deeply their love and basked in the great relationships we had with them. They were truly God’s gift to us – they taught us how to be generous and loving to one another. Throughout our ordeal, we truly felt comforted by the prayers and support of our relatives and friends. But it was only by God’s grace that we were able to endure the pain of loss and restore peace in our hearts. Our loved ones who went ahead of us are now in a better place – I constantly pray that I, too, will join them in heaven someday. Today, I no longer fear death as I used to. I have accepted that it can come any time, in any way – only God knows. Through our family’s ordeal, God always gives me this message: “I love you and you are special to Me.” I hold on to His words and remember these as I continue my journey. Click here to return from Facing Death to Inspirational Stories.